I feel quite a sense of accomplishment finishing this one. Not only was it made on a brand new sewing machine that I didn’t have a clue how to use, but what started out as a double quilt…..morphed into a queen size quilt when I found out that my sister-in-law had just bought my niece a new queen size bed. I had already purchased all the fabric to make a double and when I went back to purchase more they were sold out. This led to an all day blitz of every local quilt store and then expanded to surrounding municipalities to try and find fabrics that would work with the ones I already had. I also had to re-think my quilt layout to make it bigger. 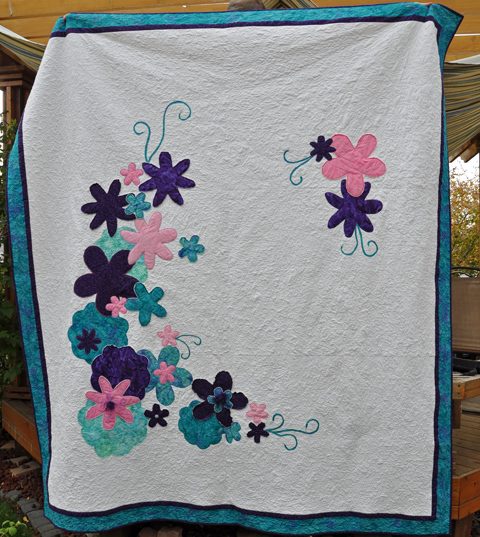 I can’t believe that it took almost 2.5 kilometres worth of thread just to free motion quilt the white background with a scroll and leaf pattern. 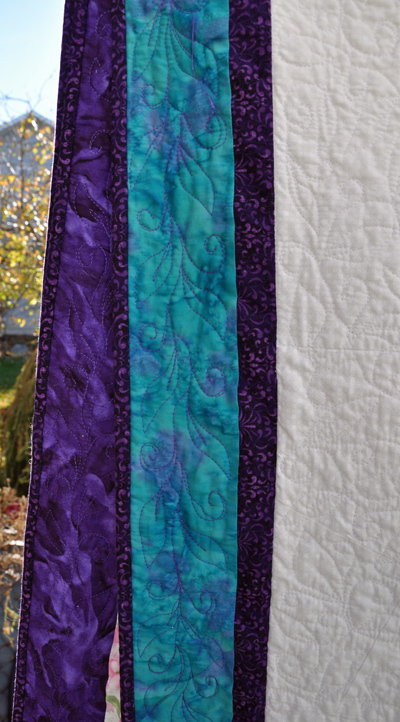 This was definitely my biggest free motion quilting challenge so far. 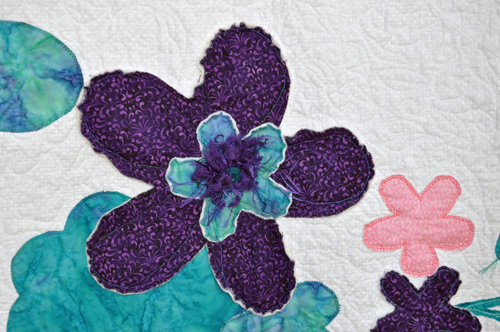 I used metallic thread, wool and buttons to add some dimension and interest. YOU DID A SPLENDID JOB!!!! & SHE WILL LOVE IT! THIS WILL BECOME AN HEIRLOOM ..! 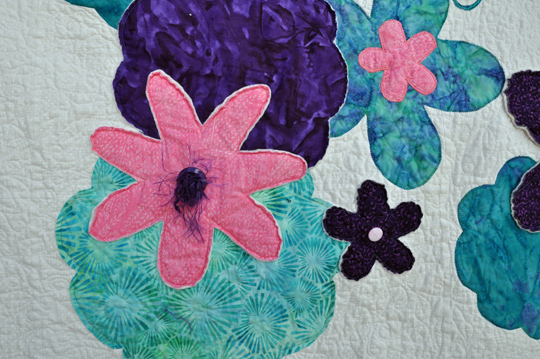 OMG Debs, you missed your calling, the quilts you’ve made are gorgeous!!!!!! Heirlooms for sure!!! I still have my old 1970’s machine and don’t sew much any more…this though is a true inspiration to start again when I find the time….